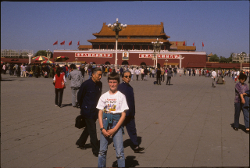 Artspace China is a blog run by Christen Cornell, a PhD student at the University of Sydney. It's got lots of great stuff about all the Chinese arts, with a fair helping of Chinese literature in particular. We can't really read china traducida y por traducir, given that it's in Spanish, but the website, run by Spanish-language translators, aims to do something like what we do here, except in… Spanish. A sister site! Some of you have noticed the industry newsletter signup form at the top right of the Paper Republic home page, and have obediently signed up without really knowing what you were in for—we salute you! For the rest of you: Paper Republic has started publishing a free monthly email newsletter carrying all sorts of information about the Chinese publishing industry. It is edited by Bruce Humes, with the assistance of Alice Wang. This is mostly aimed at those expecting to do some sort of business related to Chinese publishing, but much of it will also be of general interest. You can subscribe at this page. Two issues have already gone out, and now we're making some minor adjustments to the program: namely, you can now browse the contents of earlier issues (though the most recent issue will always only be available through email), and we've changed the format of the newsletter itself so it's less Wall Of Text. As always we welcome feedback, in the comments if you like, or in this case you can email the Bureau of Newsletter Production directly at news@paper-republic.org. Whilst I was looking the other direction, Cindy Carter's translation of Yan Lianke's novel Dream of Ding Village was published by Grove Press in the US and Constable and Robinson in the UK. Take a look at this book (there's a Kindle edition! ), it's a good one, by one of China's best contemporary authors. And an excellent translation! Writers of Beijing, lend us your biros. The Global Times Beijing Metro wants your smoking nuggets of flash fiction (1,000 words MAX). If you're one of our winners, you'll find yourself published in an anthology of Beijing fiction, and could win books or even a 5,000 yuan cash prize. I've been blowing on about Xu Zechen for ages, but only just got around to finishing a sample of his Running Through Zhongguancun, which you can read here. All events are at the 800Show site. All are free, but the INS Shanghai Declaration on Inauthenticity requires advance signup, you can email me for that. Just got back from another of the Get It Louder literary events, this one on science fiction, featuring Han Song, Pan Haitian and Fei Dao. There will be a proper post on this at some point, but I needed to say that after tonight's event I feel more hopeful about the future of Chinese literature than I have in years. Who says that science fiction/fantasy is only good for escapism? Over the course of two hours we got: the Communist ideal as science fiction; designs for anti-urban-demolition weaponry, to be distributed to the populace; both internet firewall technology and anti-firewall-technology as China's two greatest inventions since the compass; correlations drawn between The Matrix and Lu Xun; multiple references to Liu Xiaobo's winning of the Nobel Peace Prize. I have never heard any Chinese writers speak as incisively or as passionately about the Chinese condition as did these few sci-fi writers tonight. Perhaps the burden of "speaking for the country" has proved too weighty for those designated as China's "serious" authors; at any rate these sci-fi writers, charged with nothing more than entertaining themselves and their readers, came out with all the intelligence and ferocity that we've been missing these many years… If this is how it's going to be done, then bring it on! Before you raise an eyebrow, I'll admit I was junior member at what was largely a gathering of really pretty intimidating literary and academic figures—I was approximately fifteen years and two university degrees behind the median. But that made for a wonderful experience: a relatively small group of people presenting fascinating papers and talks on topics ranging from poetry to "the classic" to "nonsense", drawing from languages including French, Italian, Chinese, Spanish, Japanese and Aboriginal Australian. I've just got back from a literary translation symposium in Sydney (more on that anon), and while there I also did a radio interview for the Australia Broadcasting Corporation which can be accessed, if I'm not mistaken, at this link. As mentioned previously I've been organizing some literary events for the Get It Louder festival, the first of which was last Tuesday. Originally meant to be a head-to-head between the writer Han Dong and Li Jingze, editor-in-chief of People's Literature magazine, it lost some of its drama when Li Jingze pulled out at the last minute due to an unforeseen and rather dramatic workplace incident. Han Dong and I did it ourselves, recapping and extending onstage the conversation we'd had at dinner the night before, though without the assistance of red wine. I asked him to start with his involvement in the Rupture movement, and to talk about how artists' relationships with the critical establishment and publishing industry had changed over the past decade, from an era when writers felt the need to burn their bridges lest they be gentled over to the dark side, to today's situation, where it's much easier to maintain one's independence. Talking about the government's push to disseminate Chinese culture abroad, Han Dong said he remained deeply leery of any "assistance" that came with strings attached—I asked if there was any kind of government assistance that he felt was fairly innocuous, and he said he doubted it. The problem inside China is that everything is still based on human relations: no help is given without strings attached, no work is published without a debt owed, and you can't get anywhere without being part of some kind of clique. The writer's career depends so much on his/her navigation of a social environment, and rarely is the work allowed to stand on its own merits. I'll give heads-ups here as events approach. The first one takes place next Tuesday evening (the 21st) at 3pm, at the Sanlitun SOHO in Beijing (the pavilion in the plaza). The title is "Exposure Anxiety", and features Li Jingze (head editor of People's Literature magazine) and writer Han Dong discussing the project of Chinese culture and literature "Going Out", and the general air of anxiety that is creating within China. The "anxiety" might end up more literal than I'd intended. Li Jingze is an über-representative of the literary establishment—over the past several decades he has found and promoted many writers who enjoy a reputation today—while Han Dong has gone from being very vehemently anti-establishment (he was a member of the "rupture" movement), to being uneasily taken under its wing, and I don't think it sits well with him. They're both pretty relaxed guys, but there is a lot of tension between artists and the establishment when it comes to "Going Out" (ironic double entendre there!) and there's a potential for snappishness. Could be fun! The pause that refreshes! Just a couple of days ago I got a new Kindle 3 thanks to some intrepid cross-Pacific muling (thanks Canaan! ), and while I have refrained from actually drooling on my shirtfront in public, I am, to say the least, enthused. To spare the unimpressed, screen shot etc is after the jump. Submissions for the 2010 Man Asian Literary prize will be accepted up until the end of the month! Remember, submissions must be of published English-language translations of books by Asian citizens, and must be submitted by publishers. If you're a translator (or Asian-citizen-author) with a novel you're proud of, bug your publisher now! I planned to write a bit about whatever translation-related issues of interest cropped up in the midst of Notes of Civil Servant, and as it happened I barely got through the preface before I reached the first hard-to-crack nut. So here is Imponderable Number One: the word 官场 (guānchǎng), guan indicating government officials or officialdom, chang here meaning "field" or "arena". I suspect that this term is a derivation of 战场 (zhànchǎng), "battlefield", which gave birth elsewhere to 职场 (zhíchǎng), "professional arena" or, as we prosaic Westerners might call it, the employment market. It's precisely the touch of martial romance inherent in the term that is significant. Your typical North American or Western European civil servant is anything but romantic. Dull of eye and stunted of fancy, clad in the sober weeds of duty, they do one thing and they do it, if not well, at least doggedly. They are cogs in the machine, possessing perhaps even less moral agency in their day-to-day decisions than your average voter/taxpayer.